The current ‘black hole’ in Public Health Mycology has been increasingly recognised by GAFFI as a major problem worldwide. Professor Donald Cole brings broad expertise in public health to support GAFFI in responding to this major gap. 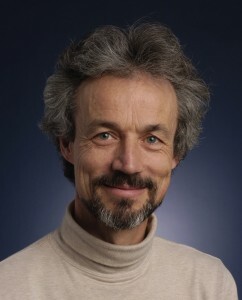 He was founding Director of the Collaborative PhD Program in Global Health at the University of Toronto and Co-Chair of the Canadian Coalition for Global Health Research’s Capacity Development Program. Donald Cole trained as a physician and practiced primary care, public health, occupational health and environmental health in a variety of settings in Canada and lower and middle income countries. He holds a Masters in Health Research Methods and was a Tri-Council Eco-Research fellow in environmental epidemiology researching environmental contaminants, ecosystems, human health and public health responses. He has fostered research on burden of disease, health services, and evaluation of complex interventions for health. Lately this lead to estimates of the global burden of chronic pulmonary aspergillosis after TB, complications of sarcoidosis, and ABPA complicated asthma. [Link these papers in].